WHAT IS AN ANGLICAN ? As Anglican's, we are part of a global communion of churches established over the centuries by the Church of England. Anglican Christians took their faith around the world primarily by planting local congregations on every continent that shared the faith and practices of the Church of England - a tradition that preserves the very best of of ancient early church worship while incorporating the sound doctrines that developed from the Protestant Reformation in England. Anglicans have always sought to worship God faithfully. 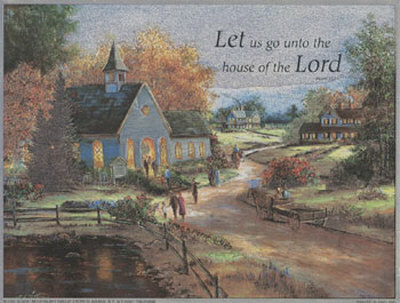 The churches formed in The United States were grouped under the Protestant Episcopal Church of the United States (TEC). Therefore our services and liturgies mirror the worship of the ancient apostolic church while incorporating the common language and culture of the communities in which they were incorporated. Today the Anglican Communion is experiencing renewal. Recently some church provinces have departed from historic Anglican (and mainstream Christian) faith and practices, and from the orthodox understanding of the Holy Scriptures. The renewal comes from the growth of the gospel through Anglican churches throughout the world. The Anglican Church in North America , was formed to unite these churches in the United States and some provinces in Canada. The Anglican Church in North America unites some 100,000 Anglicans in nearly 1,000 congregations across the United States and Canada into a single Church. It is an emerging Province in the global Anglican Communion. ﻿The ﻿Most Rev. Dr. Foley Beach is the Archbishop in the Anglican Church in North America and the Rite Rev. James Hobby, Bishop of the Anglican Diocese of Pittsburgh. Members of the Anglican Church in North America are in the mainstream, both globally and historically, of Christianity – the biblically-faithful way of following Jesus and being part of the “One Holy Catholic and Apostolic Church”. As Anglicans, this orthodoxy is defined by and centered on our church’s classic formularies – the Book of Common Prayer, including the Ordinal, and the Thirty-nine Articles – which all point back to the authority of the Holy Bible and articulate foundational principles of the Anglican tradition throughout the world. This can be one of the most trying times to remain a practicing Christian in The United States. Many of the traditional main line denominations have begun to follow non-traditional and non-biblical teaching in an effort to "be in step with the times". Being an Anglican Christian means accepting and practicing the essentials of the Christian faith, what has been believed by Christians throughout history. Globally, regionally and locally, Anglicanism is in the process of reformation. Within the last decades, the Episcopal Church in the United States and the Anglican Church in Canada have increasingly accommodated and incorporated un-Biblical, un-Anglican practices and teaching. In the context of this widening theological gap, the existing geography-based organizational model of the Episcopal Church and Anglican Church in Canada became problematic for orthodox Anglicans. Orthodox parishes, clergy and dioceses that upheld Biblical authority and historic Anglican practice became isolated within their existing structures. Distressed churches and entire dioceses began to disaffiliate from the established provinces in North America and seek episcopal oversight and spiritual care from Anglican Provinces and leaders in other parts of the world, including the primates and churches of Kenya, Nigeria, Rwanda, South America and Uganda. Beginning in 2000 with the Church of Rwanda, these leaders have responded by accepting orthodox Anglican parishes and dioceses in North America into their care. In February 2005, leading orthodox bishops and ministries representing a number of different Anglican jurisdictions in North America launched the Common Cause Partnership. In September 2007, the bishops of the partnership gathered to begin shaping a unified and orthodox Anglican church in Canada and the United States. The inaugural meeting of the governing council, held on 17 December 2007, elected the Rt. Rev. Robert Duncan as the moderator of the Common Cause Partnership. 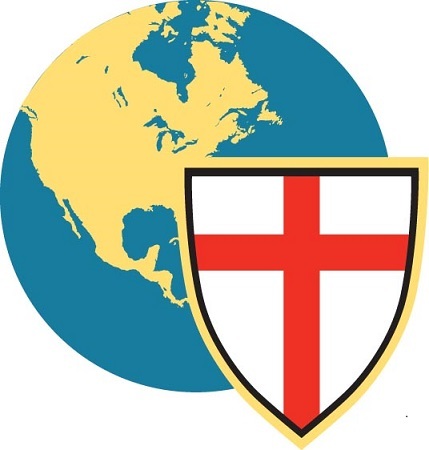 Then in June 2008, Anglican leaders from around the world gathered at the Global Anglican Future conference and, among other decisions, determined that the North American Anglican groups under their care and united in the Common Cause Partnership should form a united Anglican body and seek recognition as a province in the Anglican Communion. Following significant formational work by the Common Cause Partners, these same Anglican leaders have now recognized the resulting ecclesial structure – the Anglican Church in North America (ACNA) – as authentically Anglican and have commended formal recognition of ACNA to the other leaders in the Communion. During this period of transition, bishops within ACNA will retain membership in the House of Bishops of the province in which they were members prior to the formation of ACNA.